Mummola is word for a place where grandparents live. This is also our home where we live together with three generations. 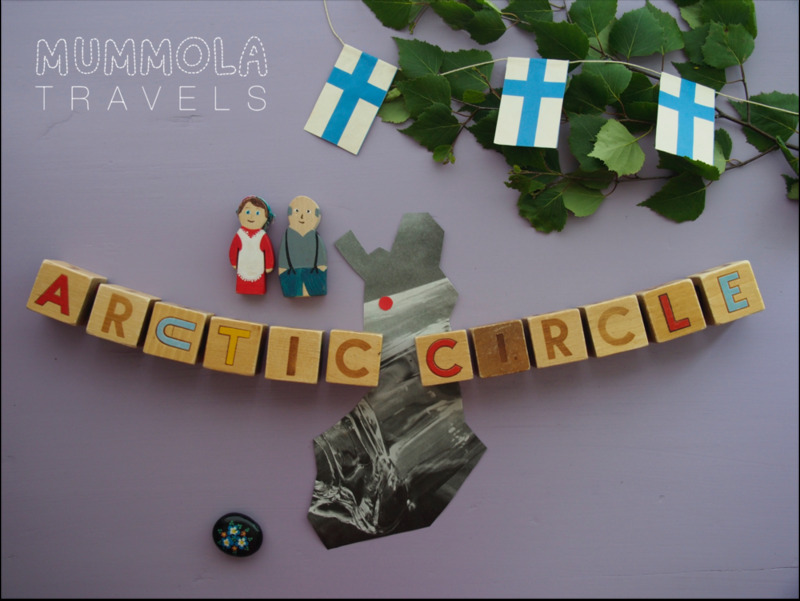 We would like our guests to experience Mummola and Lapland like they were our friends visiting us. We are open all year round and welcome the guests with the best that every season has to offer combined with local event, our family activities and festive traditions. All this started as project (and a journey) towards rediscovering our roots. We first thought about staying for one year to see where it will lead us. Bubbling underneath was possible career change inspired by our everyday life here in Mummola. As we decided to stay "for good" in beginning of August 2015 I started as an entrepreneur leading Mummola Travels towards hoped success! You are more than welcome to meet us! At the moment I'm excited to live in Lapland with four generations of my husbands family. I'm also enjoying being a mom of two children and I'm happy they got this big family around him. I'm eager to explore the amazing nature in Lapland, learn carpet weaving with Mummi, make bread cheese and flat bread with Ämmi and all the other things I'm able to experience (or Learn). I'm writing notes and taking photos, so I can share the moments with you. Moving back to Lapland after living more than 10 years in Helsinki was a big change in our lives. My family has run the farm for many generations and we wanted to explore if we can continue it in our style. Our one year experiment is already running its third year without end insight. I have started to work as a software developer for Höyry, a company in Rovaniemi. It is wonderful to be able to work from home and make your own timetables. I really enjoy mountain biking and I am searching for new routes in the forests nearby. My favourite tracks are the ones made by reindeers. Our son is now six years old. He will melt your heart with his smile and demand you to play with him. Our new family member Helmi was born in July 2017 and is easy going and enjoys chasing her big brother. Our accommodation is best suitable for individual travellers, small families or group of friends between 1-4 persons. Extra beds are in the big common room if needed. Double bed and single bed. That way we can accommodate max. 7 persons. Normally we have breakfast around 8 am, lunch 12, dinner 5 pm. Tee, coffee, snacks etc. available anytime. Some extra clothing for different seasons (not for 7 people). Like rubber boots, mosquito hats etc. Mummola is a stress free destination for families travelling with kids. We have all the basic equipment so you don't need to bring them with you. Strollers, baby bed, high chair, toys, books, clothes if needed etc. The courtyard is a big playground. On the right side is Mummi's house and extra bedrooms upstairs if needed. Kimmo's parents / ARMI (mother) and KALLE (father) a.k.a ÄMMI and ÄIJI are taking care of the farm. Kimmo's parent's house is the middle one. Ämmi and Äiji are Finnish names for grandparents in Lapland. Gray log house is the accommodation for our guests and place for special events for the family. You might meet also some neighbours and other relatives during your stay!